The story of the first Spanish journey by Jan and Cora Gordon was published in 1922 as "Poor Folk in Spain" by The Bodley Head, London. 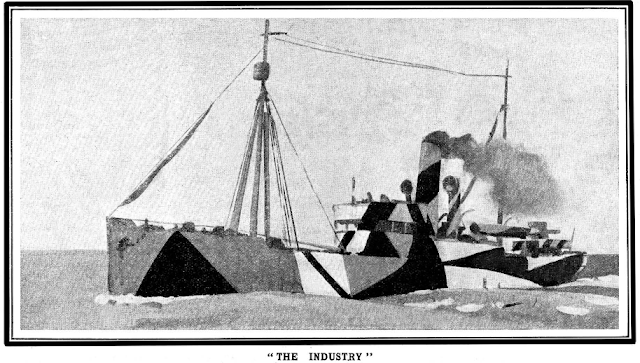 There was a copy in the library of Lady Ottoline Morrell. The book was republished for American audiences, by Robert M. McBride & Co in 1923, as "Two Vagabonds in Spain". I recently received a copy of this book with an enjoyable dust cover showing extracts from the numerous drawings that illustrate the book. The front cover shows Cora being presented with a baby (pg 132). "If you have no children, as we have too many, would you like a a baby to take away with you?". Cora noted that "The Spanish baby suffers from over nursing; it is carried remorselessly about from six in the morning till twelve at night". At the bottom of the cover is a drawing of Jan, Cora and four Spaniards (a monk included) in a "tartana" (pg 107). "We discovered why tartanas have bulging hoods. The vehicles roll and rock so much over the bad roads that it is necessary to make room for the passengers' heads to jerk backwards. Otherwise cerebral concussions would be the invariable result." 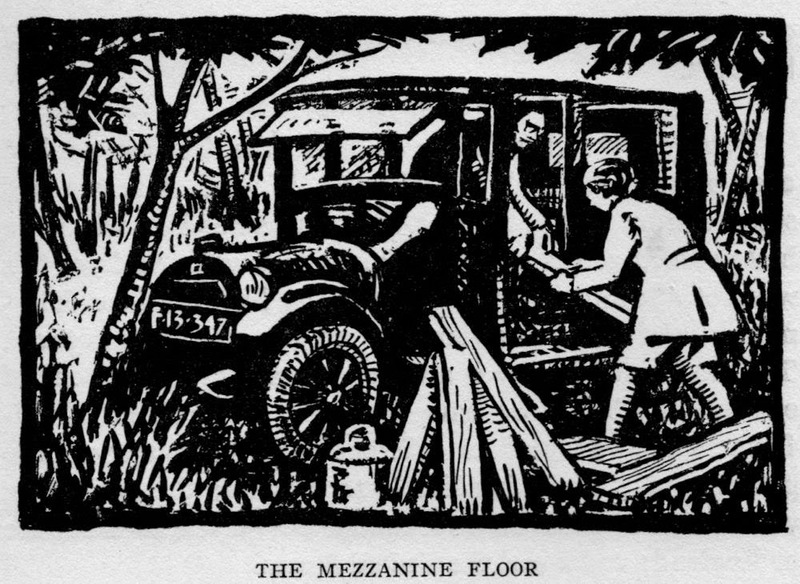 The dog at the very top of the cover comes from an illustration of "tables and chairs, made of rough planking" being brought for the dance at Coneni's place in Verdolay (pg 155). 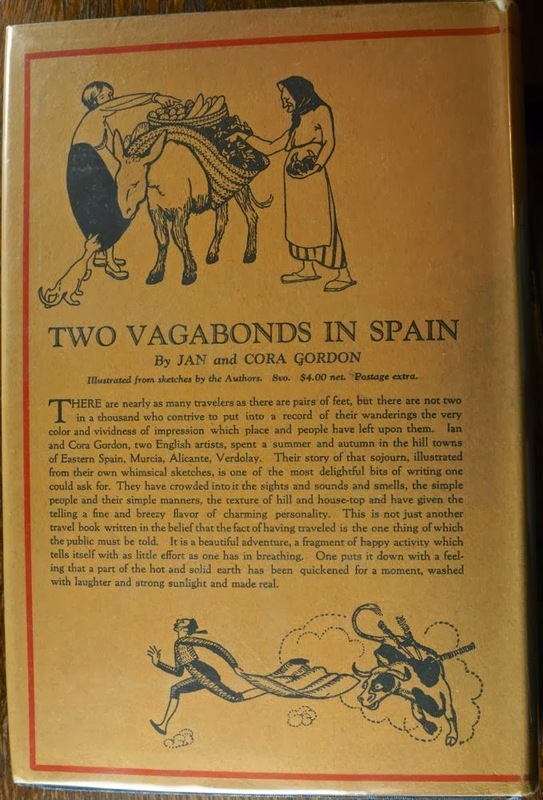 The reverse side of the cover shows Cora Gordon with a fruit and vegetable laden donkey and a Spanish lady (pg 126): "Last of all came a little old woman - with a face seamed like a kindly walnut - dragging an old grey donkey." Cora attempts to ask for onions in Serbian, but eventually remembers the Spanish word "cebollas". Below is shown the "taunting of the unwilling bull" in a Murcian bullfight (pg 98). "The toreros flapped their faded cloaks at it, but whenever the bull was tempted to charge the man ran for safety and crammed himself through one of the bolt-holes in the palisade". 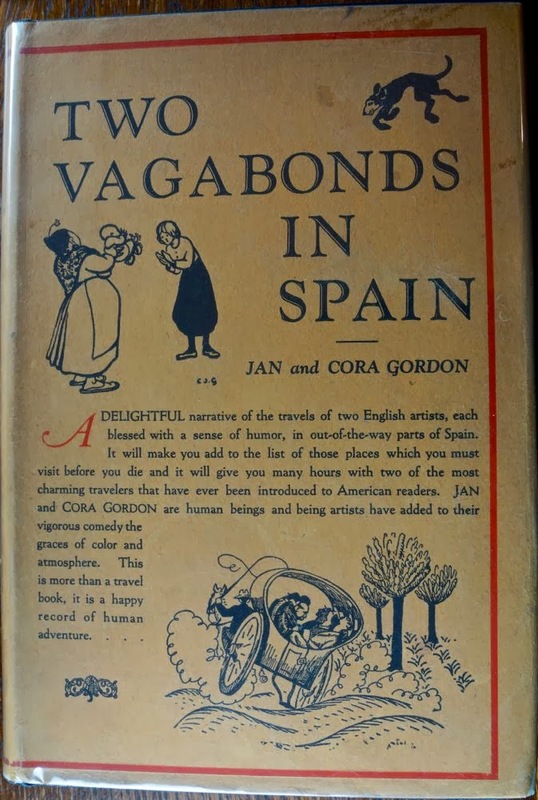 The "Two Vagabonds" in the title of this American edition became a constant in most of the subsequent travel books produced by Jan and Cora Gordon.